The pace and scale of changes that Japan witnessed in the twentieth century were nothing short of breathtaking. Capturing that history, whether it be in a short essay like this one, in a social studies class, or in a full semester-length course, can be a daunting challenge for any teacher, at any level. What themes should be stressed? What aspects of the modern Japanese experience—political, social, economic, cultural, intellectual—should be emphasized? How can the complexity of the past century in Japan—the continuities and discontinuities, the tensions, strains, and contradictions, the ironies that litter the historical narrative—be distilled down to a “classroom-ready” form? To make the story of modern Japan a little more manageable, I have followed the lead of late-night television and sketched out a top-ten list of what I consider to be the most important themes, trends, and topics in Japan’s twentieth-century history. This list, like any top ten, whether of the best movies of the year or of America's leading universities, is inevitably very subjective. Other historians and teachers are sure to find many ways in which my ranking is lacking, overemphasizing one theme or ignoring another, simplifying too much or being insufficiently critical. At the very least, I hope this list can serve as a starting point, a first step in conceptualizing and framing the last 100 years of Japanese history and a beginning for debating and discussing how best to approach twentieth-century Japan in a classroom setting. Number 10 . . . There is more technology in today’s average toilet in Japan (most of which warm, wash, and dry, while some serenade and even chemically analyze your bodily functions) than in the most sophisticated mechanical devices in the world at the dawn of the twentieth century. 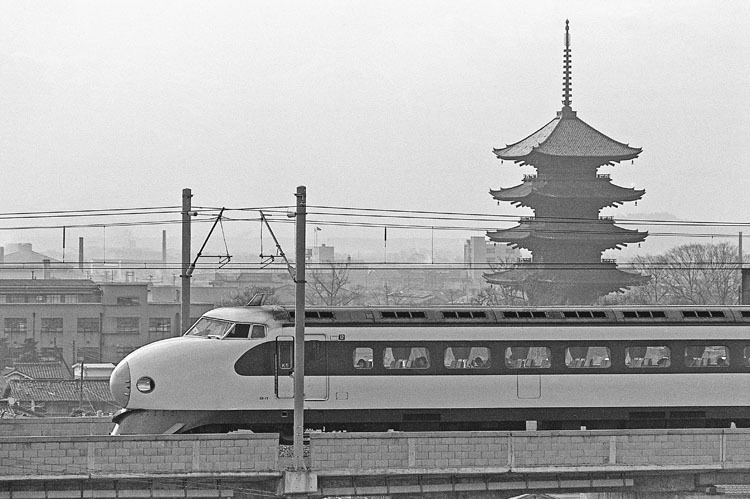 Technological advances have led to profound changes in the nature of work, transportation, and communications, and have profoundly shaped modern Japan's relations with the outside world (not just in the sense of facilitating contact and trade overseas, but also in creating more dependence on imported resources like oil). Number 9 . . .
We see in Japan a momentous transition from a limited democracy prior to World War II, under a constitution where sovereignty was vested in a semi-divine ruler, to liberal democracy on a progressive (and largely American) model after the “MacArthur” Constitution of 1947, which gave sovereignty to the people. One yardstick of this change is the number of eligible voters in Japan: 450,000 in 1890 (1.2% of total population), 1.5 million in 1912 (3%), 12.4 million in 1928 (20%; the first national election after passage of universal manhood suffrage in 1925), 41 million in 1947 (52%; following women gaining the vote), and today 94.5 million (76% of the total population). 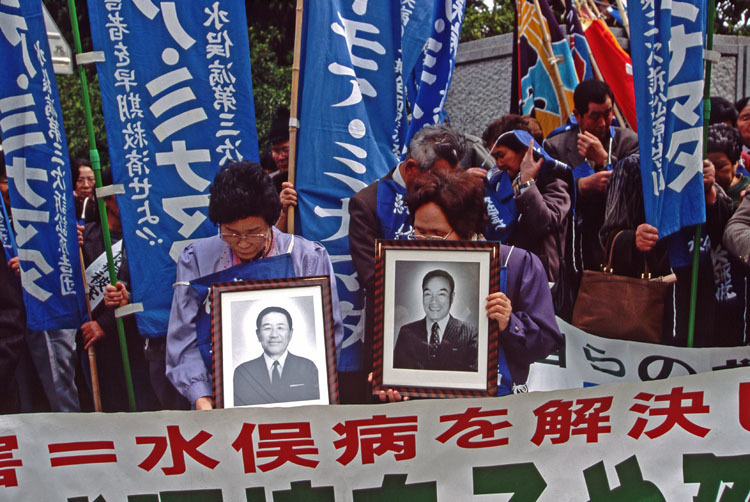 More voters has not always meant a more engaged electorate, yet the rights and freedoms enjoyed by the Japanese people, as well as the responsiveness of the state to the popular will, all increased dramatically after World War II. Number 8 . . .
One can contrast the small Japan of today with the nascent Japanese empire at the start of the twentieth century and the much larger, even sprawling Japanese empire of the 1930s and 1940s. The loss of these territories in 1945 reframed Japan's position in the larger world system: Japan went overnight from being the metropole of a dynamic Asian empire to being a mere periphery in a U.S.-dominated global order. To get a sense of this statistically, the total land area of the Japanese empire in 1910 was about 260,000 square miles; at the empire's height during World War II, over 4 million square miles; and today, about 148,000 square miles. As these figures suggest, the impact of empire—not to mention its sudden loss—was profound economically, politically, culturally, and (perhaps above all) in Japan’s conception of itself and its national destiny. Number 7 . . . Many Western observers have framed Japan’s course over the twentieth century in primarily economic terms, as Japan has often been offered as a sterling example of industrial and financial development on a capitalist model. Japan moved from being a largely agrarian economy with a small industrial sector at the dawn of the twentieth century to becoming a mass production, mass consumption economy after World War II, and eventually one of the wealthiest nations in the world. It is hard to underestimate the importance of rising affluence, spread as it was widely throughout society, on Japan's path over the past century: with prosperity came changes in health, nutrition, lifestyles, aspirations, and expectations that affected every Japanese man and woman. Number 6 . . . The Collective Life and Individualism: "Intimate Alienation"
At the beginning of the twentieth century, Japan was a predominantly agrarian nation, with a strong collective identity in villages and extended families. During the Taishō period (1912-1926), rising individualism and the fragmentation of everyday life—the presumed side effects of modernity—became increasingly prominent public issues, yet still ones that affected mainly a small urban elite. After World War II, the transition to a more complex, fractured, and urban society accelerated, with villages replaced by apartment blocks, multi-generational households by nuclear families, and small businesses by large corporations. Literary scholar James A. Fujii has coined the term "intimate alienation" to describe the experience of riding the commuter trains in Japan—that is to say, one is in close and constant physical contact with other people, yet there is no real communication or engagement with the individuals around oneself—though it might as easily describe contemporary Japanese society more broadly.1 The impact of modernity, industrialization, and Westernization on time-honored communitarian values is a topic that continues to worry many Japanese even today. Number 5 . . .
It’s all too easy to survey Japanese history (or indeed any history) in great, sweeping terms and completely overlook half of the population. Telling the story of twentieth-century Japanese women can be challenging, however: in some ways, Japanese women have been progressively “liberated” by Western standards over the past 100 years—they can pursue education and careers outside the home, they have been freed from much of the domestic and agricultural drudgery of the past by technology and affluence, they have a voice politically, and today they enjoy protection under an elaborate framework of equal opportunity legislation. And yet, in some ways, women’s roles have changed relatively little, as women’s domestic responsibilities, workforce participation patterns, and their ability to rise up the corporate or political ladder to positions of responsibility have remained surprisingly constant over numerous generations. What lies ahead for Japanese women in a time of changing social mores and in a society that is rapidly aging and gradually declining in population is a pressing question in contemporary Japan. Wars in the twentieth century—with one outstanding exception—are generally said to have been good for Japan, bringing new territory, economic benefits, and enhanced international prestige. Wars, as has historically been the case around the world, have also usually been accompanied by increases in the power of the state over Japan’s subjects (or, after the 1947 Constitution, citizens). Understanding the forces—political and economic, domestic and international, the ideologies of nationhood and the pathologies of modernity—that shaped Japan’s paths toward war, and especially World War II in Asia and the Pacific, is essential to conceiving Japan’s twentieth-century experience. Recognizing continuities in Japan’s long journey, as the nation morphed from a regional military and imperial power before the war to being a global economic force after it, must be balanced with a sensitivity to events—notably, the atomic bombings and defeat in 1945—that lastingly altered the course of Japanese history. Number 3 . . .
National identity can be surprisingly fluid and what defined Japan, both in the minds of the Japanese people and to those outside Japan, underwent sweeping changes over the twentieth century. Some historians would argue that kokutai (a vaguely defined “national essence) and the imperial family-state provided Japan's identity prior to 1945; others have emphasized ethnic identity and homogeneity (linguistic, cultural, religious) as defining features of “Japaneseness,” both in the prewar period and today. After the war, Japanese identity fractured and fragmented, with being Japanese characterized by many things: pacifism, victimization, and, perhaps most notably (at least during the days of the high-growth economy and the 1980s “bubble"), economic accomplishment. More recently, with the economy sluggish and Japanese pop culture (from anime to Hello Kitty) ascendant globally, the worldwide appeal of Japan’s entertainment products has become a new source of national pride and identification. Number 2 . . . 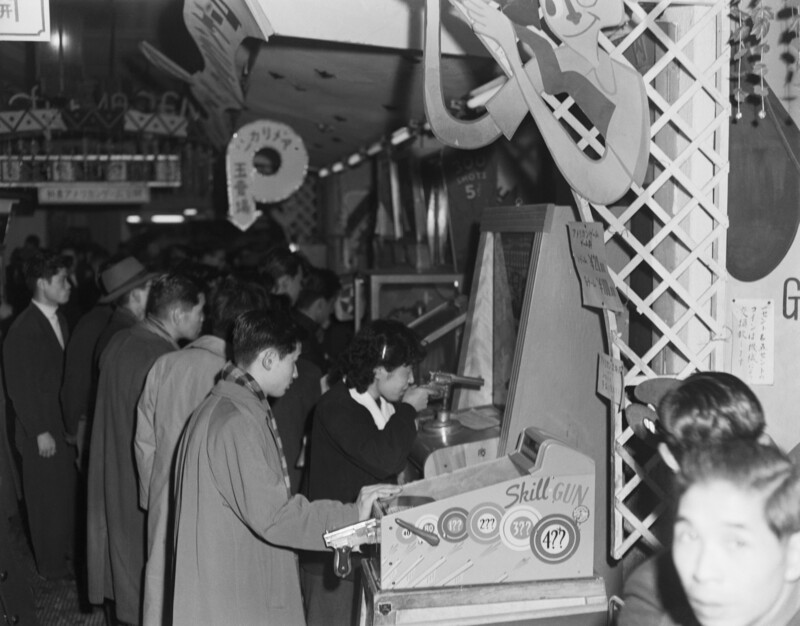 The twentieth-century experience in Japan was characterized by ongoing tensions between modernizing change and traditional patterns of life, as well as a profound ambivalence on the part of the Japanese people toward both tradition and modernity. In many ways, the last 100 years have left the Japanese people doubly estranged, alienated from traditional ways (like the family system) that frequently seemed rigid and constraining, yet also chaffing against modern ways (like the work regimens of industry) that could appear overly cold, rational, and mechanistic. One might conclude that this history has left the Japanese in a constantly unsettled state, embracing modernity as an escape from tradition and yet also cherishing tradition as a refuge from the penetrating winds of modernizing change. Some commentators have suggested that it was precisely this heritage of strains and contradictions generated by the constant friction of tradition and modernity that defined Japan’s twentieth-century identity. And Number 1 . . . The historical paths of Japan and the United States were inextricably twined together in the twentieth century, and remain so at the start of the twenty-first. At various times over the past 100 years, Japan has emulated, rejected, idolized, demonized, deferred to, resented, and, of course, waged war against America, in one of the most profound love-hate relationships between nations (and cultures) in the modern world. The Japanese have taken as their own American entrepreneurship and technology, jazz and fast food, and a postwar constitution wholly “Made in the U.S.A.” And in recent decades, what was for so long a largely one-sided conversation, with Japan following the American lead, has become more of a mutual exchange, with Japanese management techniques revolutionizing U.S. manufacturing and American consumers embracing Japanese cars and electronics, sushi and animation. How the Japanese, as a nation and as individuals, have related to and appraised America—as the exemplar of progress, as the symbol of all the ills of the modern, as enemy and subsequent victor, as Cold War leader, as global trade rival—is very much at the core of Japan’s twentieth-century experience.